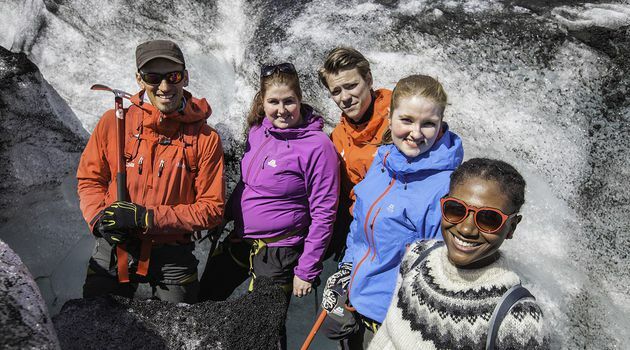 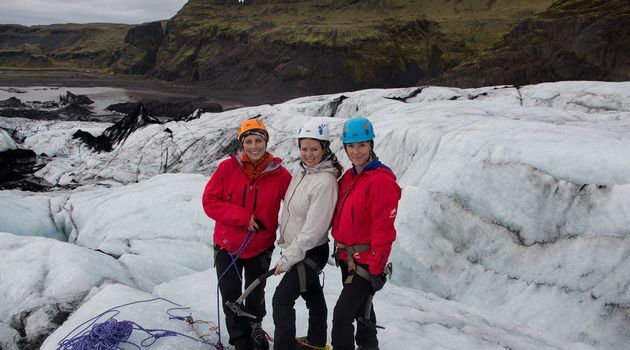 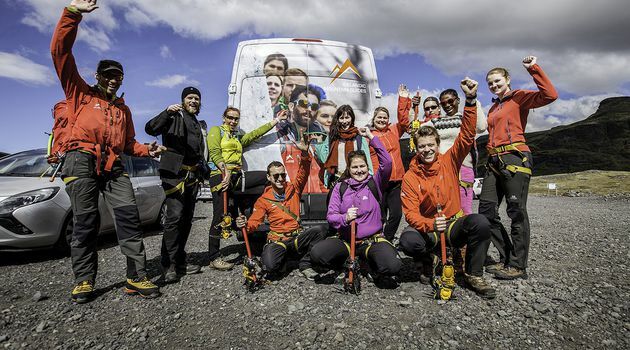 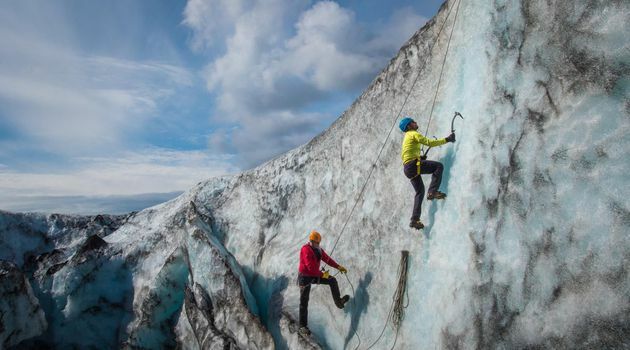 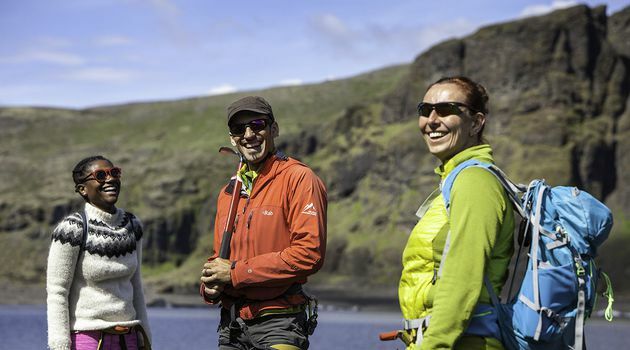 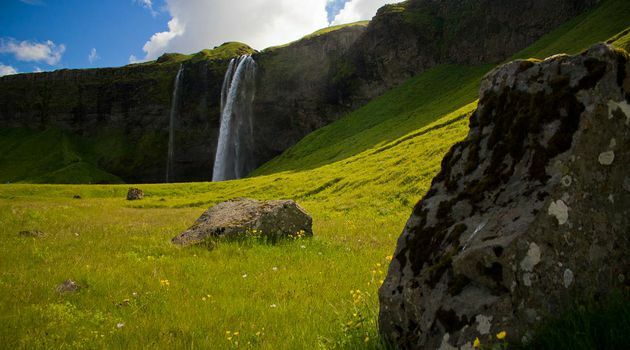 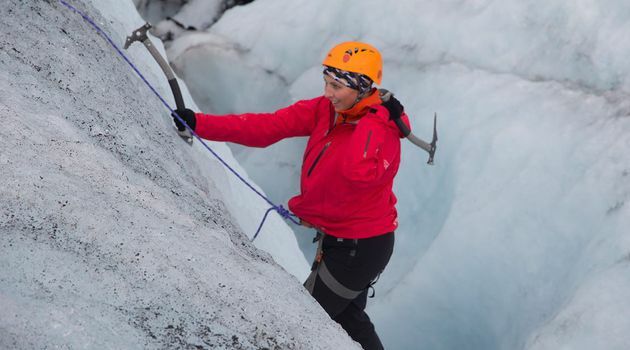 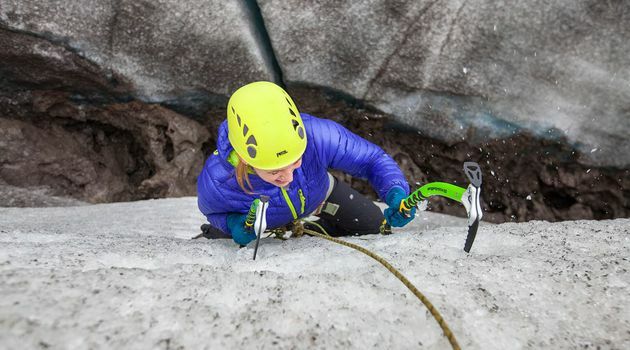 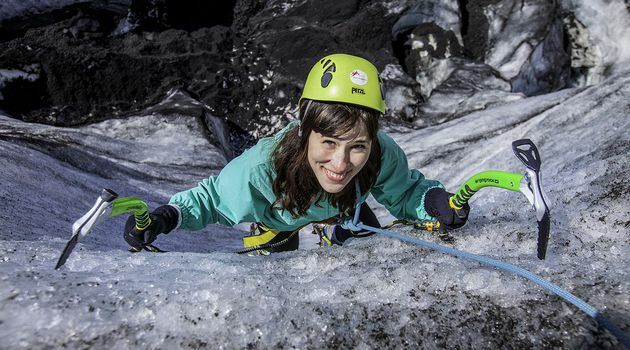 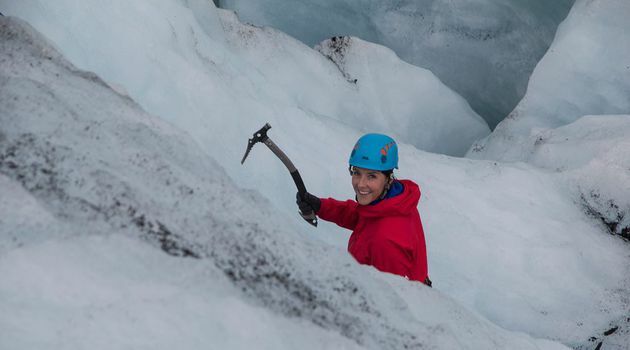 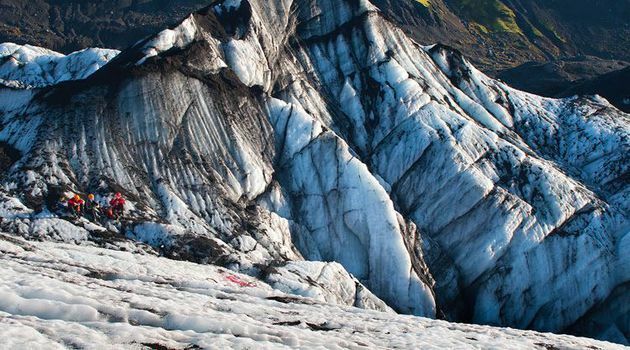 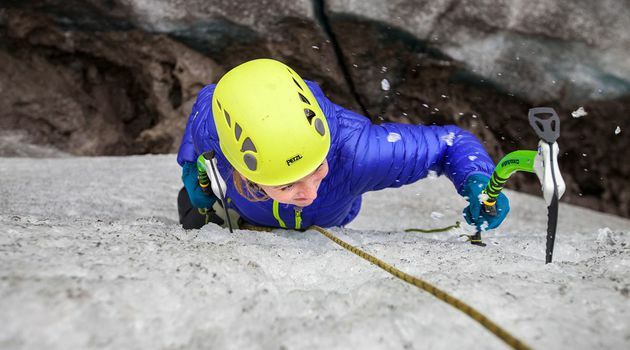 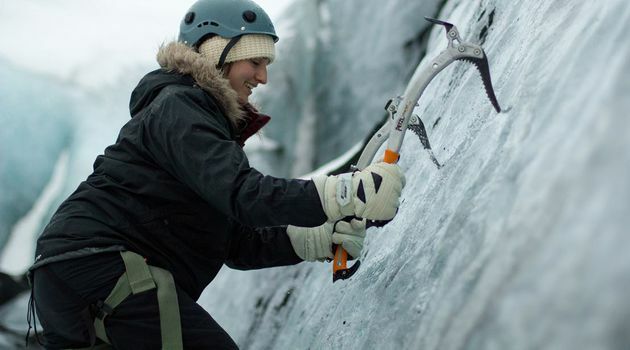 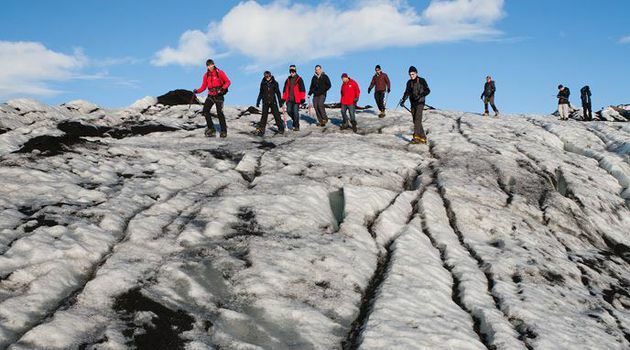 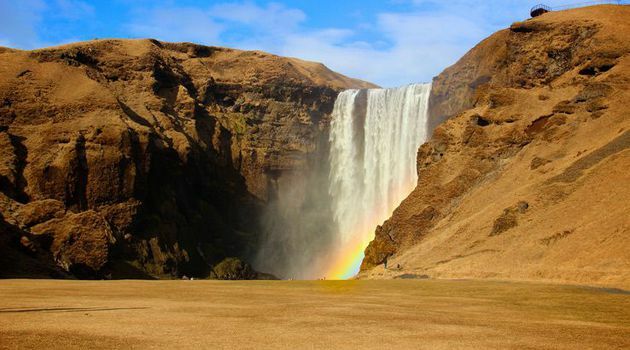 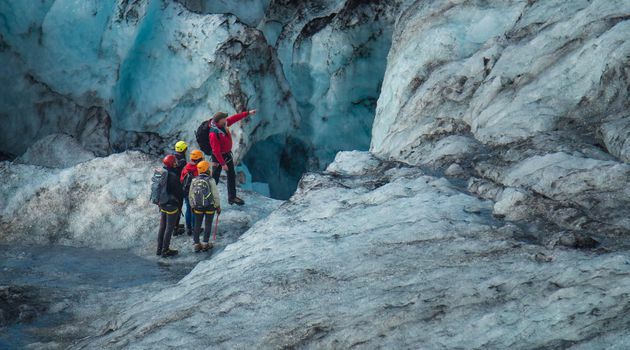 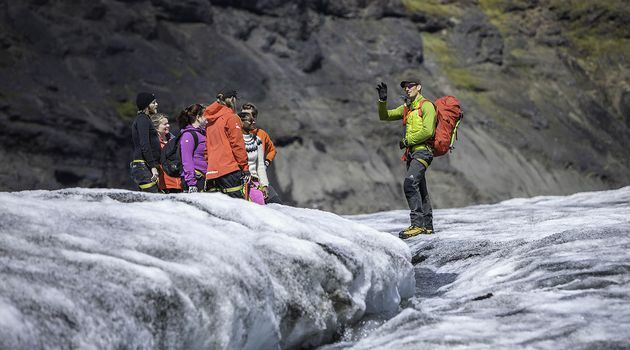 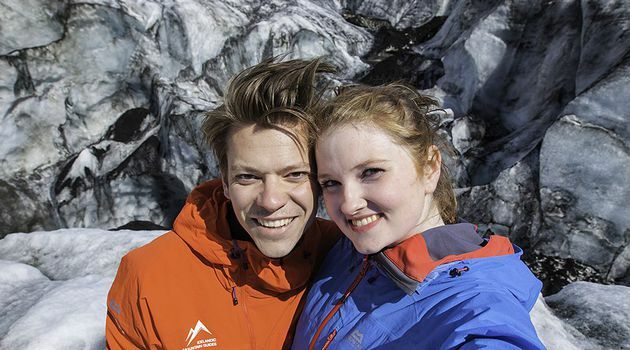 A fun and Adventurous day on the South Shore On this south shore adventure heading to Sólheimajökull glacier we combine our popular glacier walks with an easy introduction to ice climbing and visits to the to impressive waterfalls, Seljalandsfoss and Skógafoss. 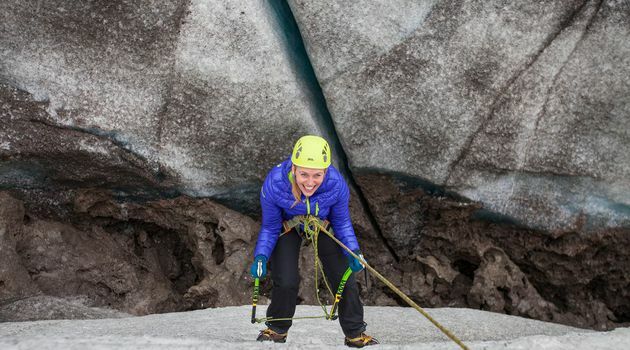 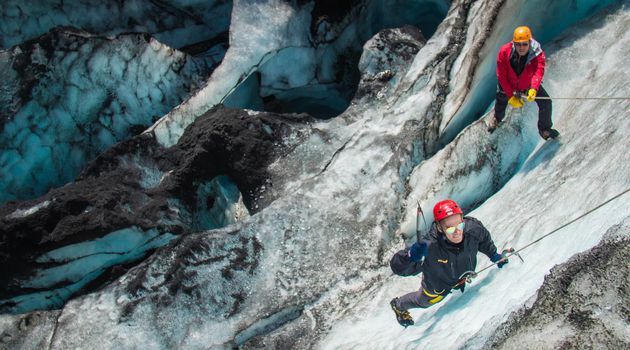 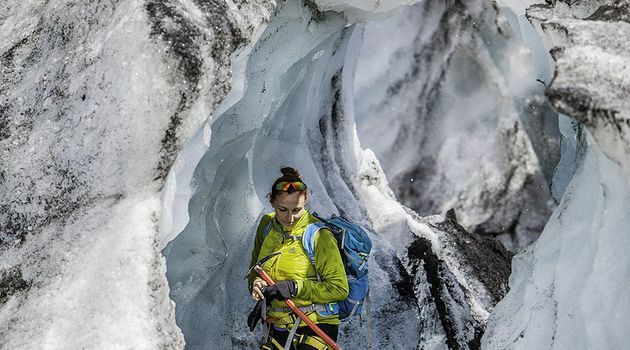 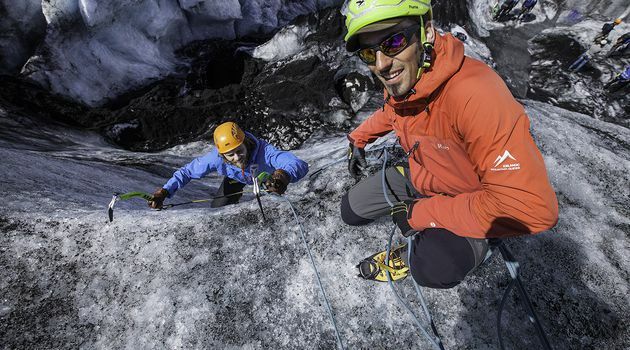 As we explore the majestic landscapes of Sólheimajökull glacier including water cauldrons, ridges and deep crevasses we search for a suitable spot to rig up our gear for a short introduction to ice climbing. 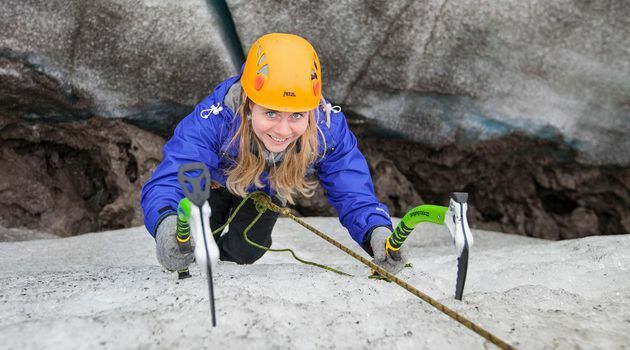 After a short introduction everyone will get a chance to have a go at a fun and easy ice climbing experience. 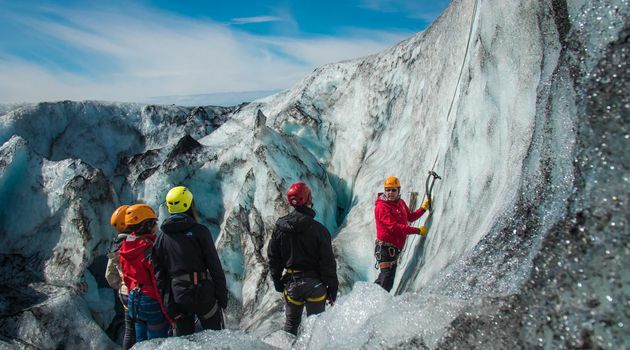 This tour combines perfectly the natural exploration of a glacier walk with the thrill of ice climbing in a fun and accessible way. 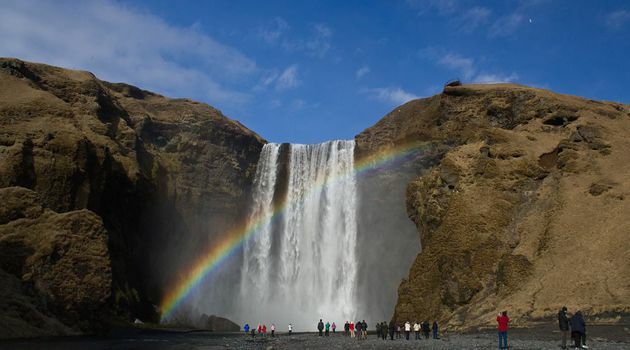 Don’t forget your camera, you will want to share this experience with your friends and family. 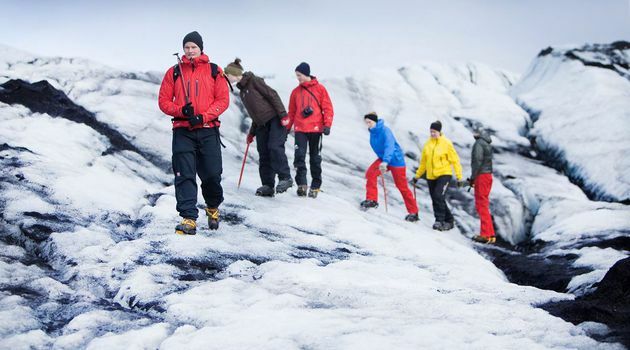 Transport, guiding services, glacier gear and safety equipment. 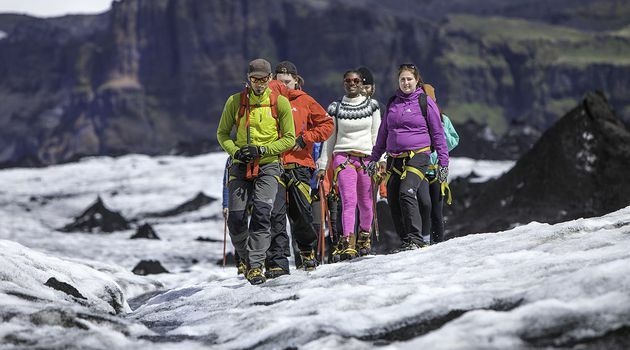 Bring warm clothing, lunch, rain gear and hiking boots. 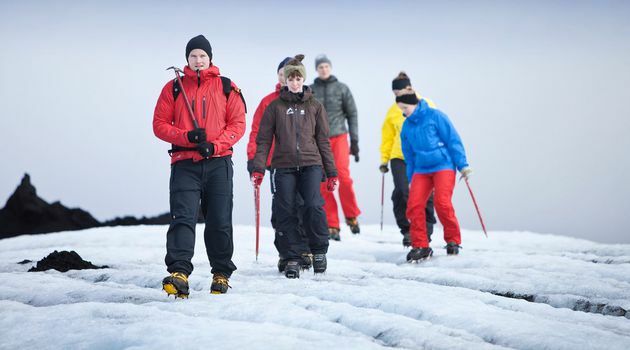 Boots and rain gear can be rented (1500 ISK per item).